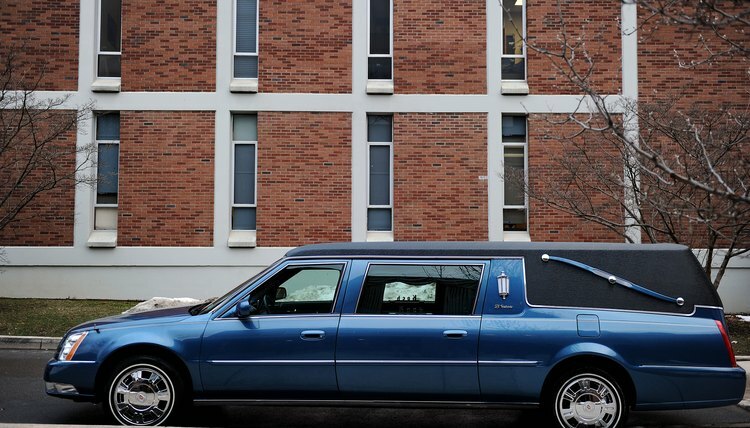 An estate is all the property, including vehicles, someone owned at the time he passed away. Some people don’t leave behind a will or trust agreement, or they fail to spell out how each item of property is to be distributed. It’s also possible that a will may be found legally defective and won’t be recognized by the court. When this happens, the property left in limbo is said to pass by intestacy. The values of the vehicle and all other intestate assets are totaled up and estate's bills and taxes paid. Afterward, the probate court disburses what’s left to the next of kin. Surviving spouses and children are usually first in line. Intestacy rules are spelled out in the estate laws of each state. With the wide range of estate planning tools available these days, much, if not most, of a decedent’s property passes to beneficiaries outside the jurisdiction of the probate court. Life insurance proceeds and pension money, for instance, go directly to the named beneficiary. Property jointly held goes automatically to the surviving spouse, including motor vehicles held in the names of both husband and wife. However, if the vehicle title was held solely in the decedent’s name, the probate court must apply the rules of intestacy. Once ownership of the vehicle is determined, the new owner must go to the state motor vehicle department. If the new owner is the surviving joint co-owner, he fills out a transfer form and presents the old title with a copy of the death certificate and proof of his own identity. The state then issues a new title. If the transfer isn't automatic, as in intestacy, the new owner registers the title by furnishing additional documents. These can include letters of administration showing who is handling the estate. The new owner may also be required to submit a hold-harmless agreement, making the new owner and not the state responsible if another claimant subsequently challenges ownership. The new owner pays all registration fees and transfer taxes. Motor vehicle laws – and probate laws – vary from one state to another. A beneficiary with questions about his rights to a decedent’s motor vehicle should consult an attorney. One common headache is when a lien on the old title exists. This means a bank or a leasing company has a claim on the car. That lien must be satisfied before ownership can transfer.